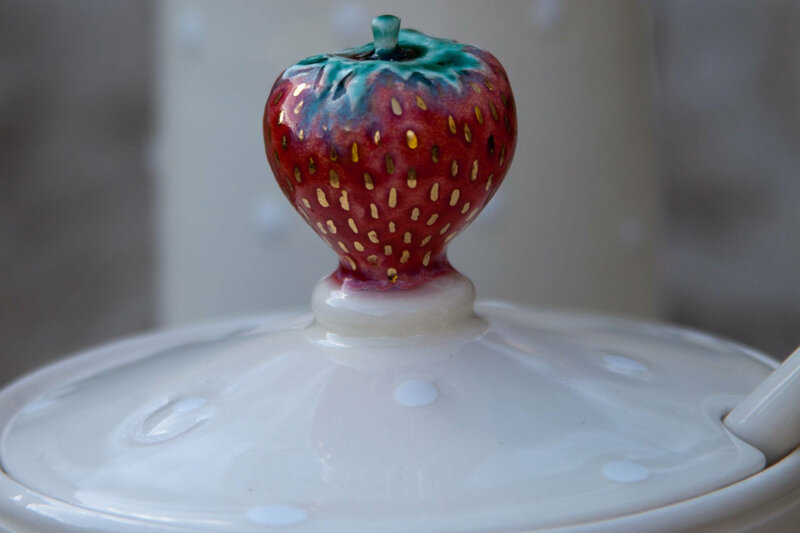 Hand-thrown white earthenware pot with press moulded strawberry. 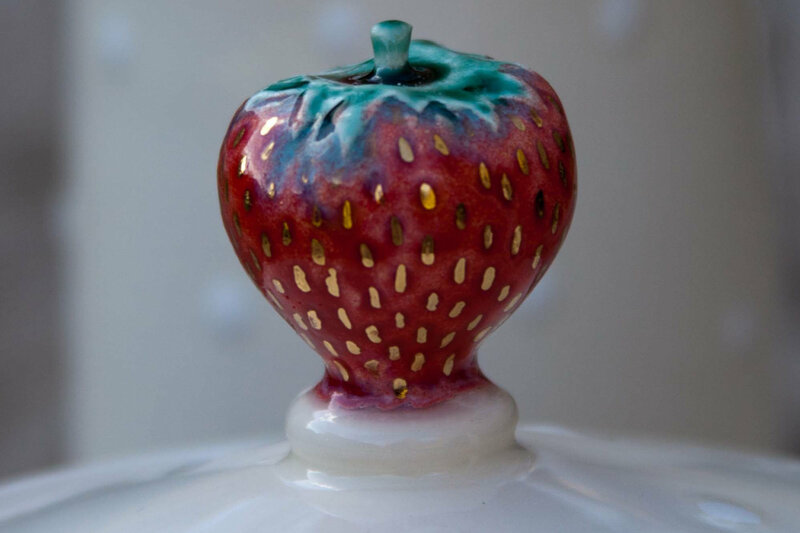 Glazed and finished with matt white dots and a scrumptious red and green glaze on the strawberry. 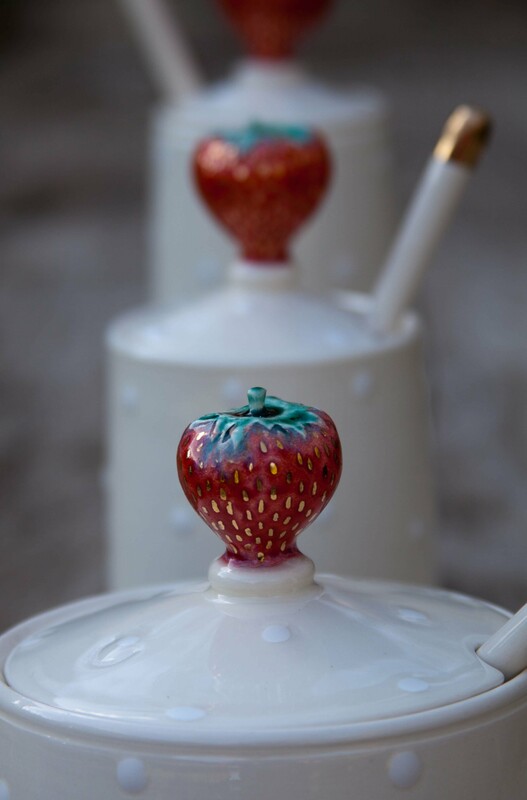 What makes this strawberry pot really stand out from the rest is the tiny gold lustered pips. 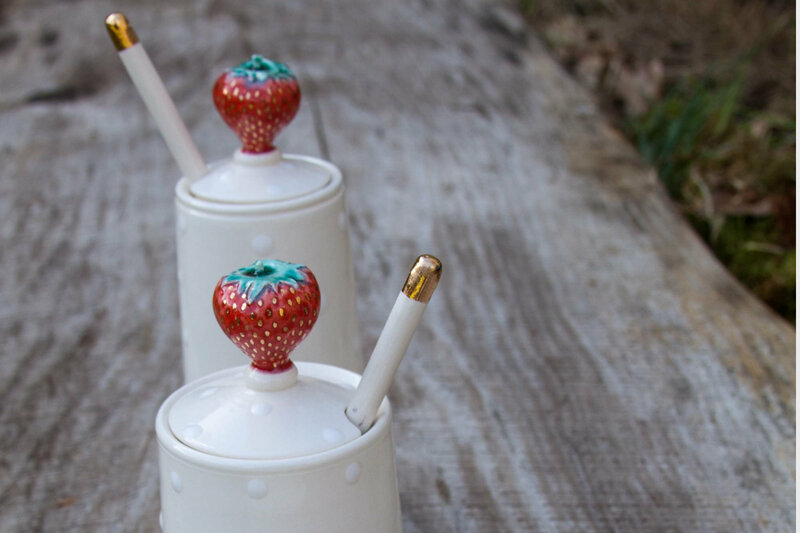 A most pleasurable item to have or give to somebody special. 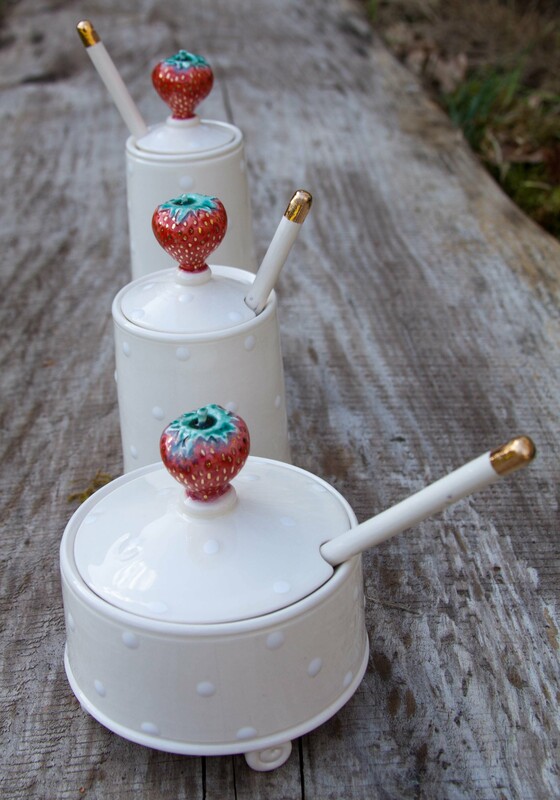 Available in a short version with scroll feet or in a taller version without scroll feet. Both can be purchased with or without a spoon. 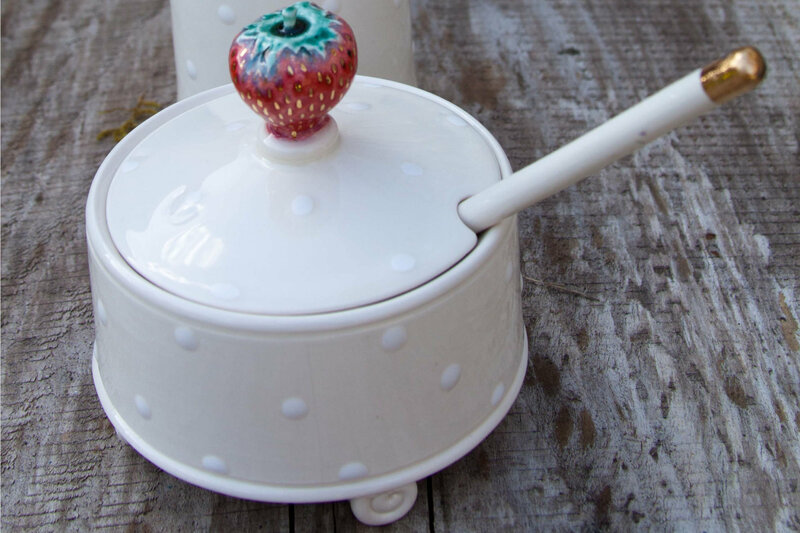 Unlike the shorter version, this jam pot does not have scroll feet.